What is Ultimate Edition 3.6? 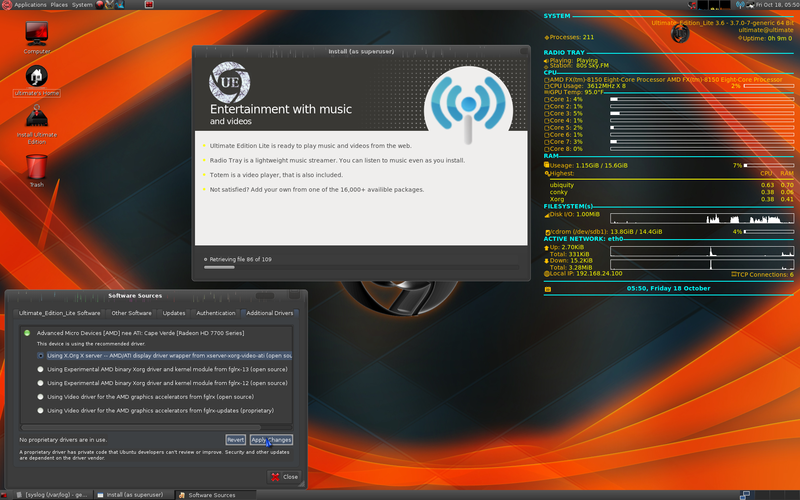 Ultimate Edition 3.6 was built from the ground up debootstrapped from the Ubuntu 12.10 Quantal Quetzal tree. This was the first time I have done this. I have discovered in doing so that it makes for a tighter release as can be seen in the Lite version a CD in size and fairly loaded considering the size. The release boots in under 6 secs on my PC. 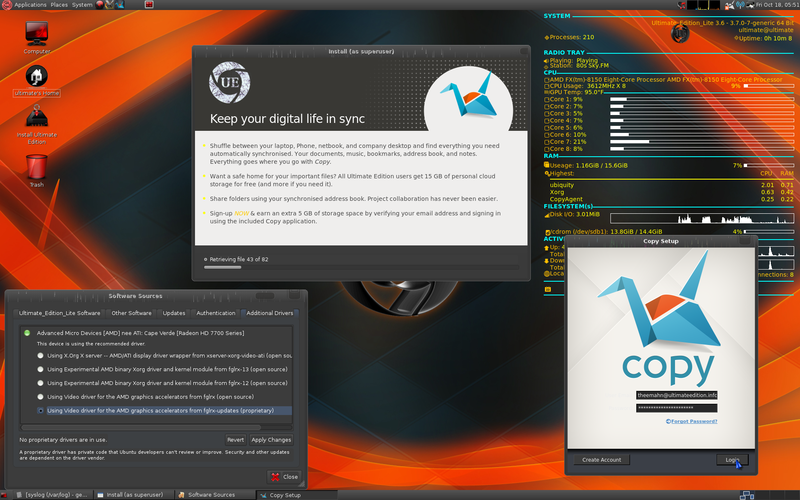 Many repositories have been added to increase software availability. 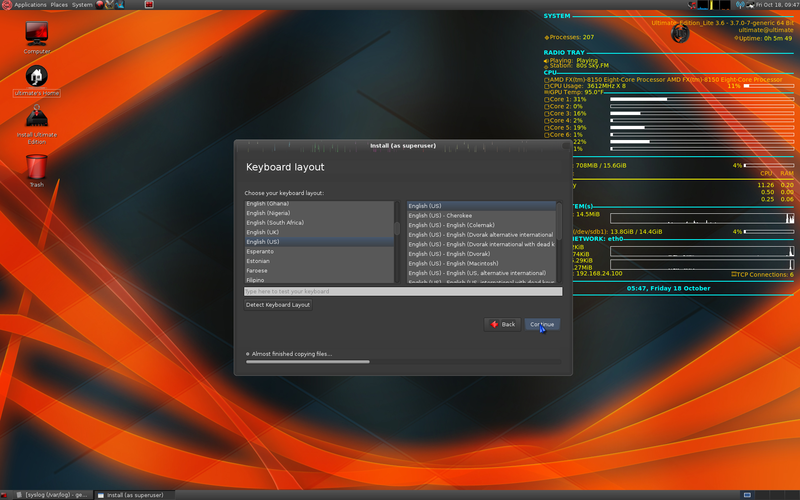 The kernel was pulled from the Xorg "Crack Pushers PPA" 3.7.0-7. 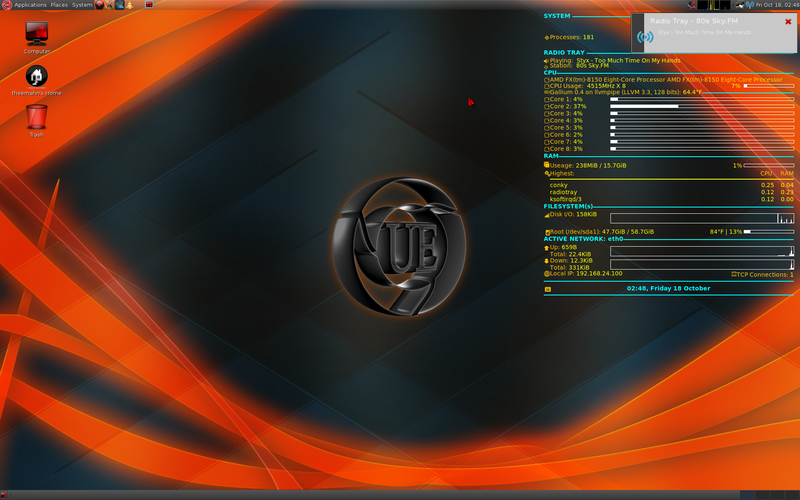 Ultimate Edition 3.6 Lite has the very basics and a good ground to build your operating system forward adding only what you need / use. Ultamatix has been resurrected from the dead to assist in this matter. Ultamatix’s dependancies on older libraries have been stripped and replaced with webkit (still not fully functional & use at your own risk) when time is on my side I will retify Ultamatix. 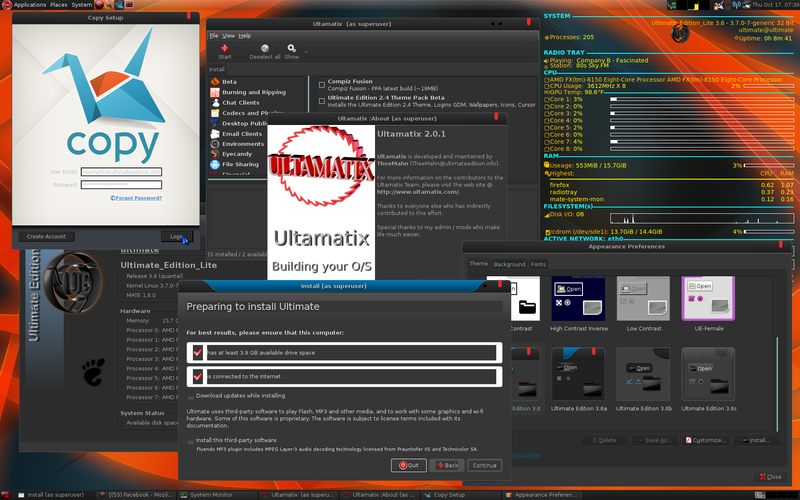 Ultimate Edition 3.6 (not the lite version) has a comprehensive set of software packages. 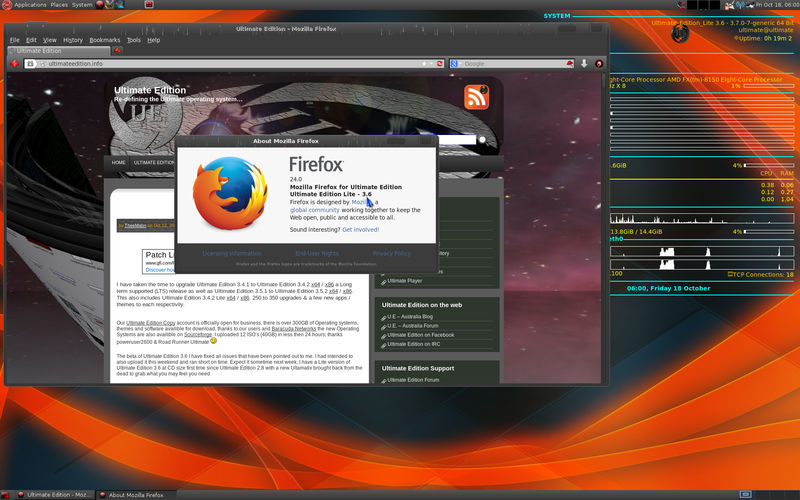 Mate 1.6.0 is the default desktop environment (DE). 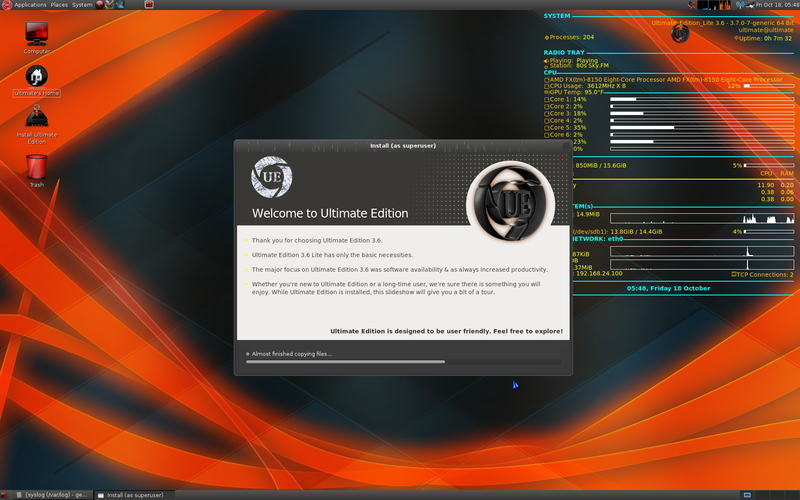 If you would like to learn how I built Ultimate Edition 3.6 Lite, or you would like to learn how to build your own Linux incarnation. I wrote a huge article you can read here.